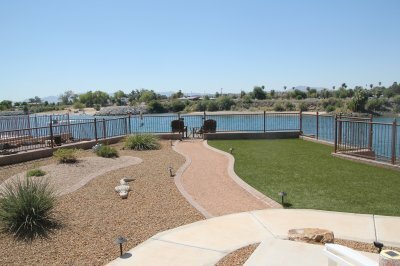 In need of another excuse to spend time on the water? Gather the family and head to your local marina, pier or boat launch for a fun, festive lighted boat parade! 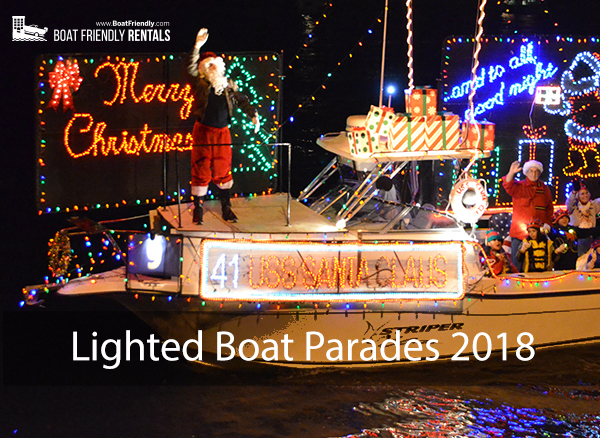 Lighted boat parades during the holiday season have gained in popularity. All along the coast, boaters line their watercraft with strings of lights, plastic reindeer and even more lights! There's nothing quite like seeing a parade of boats to warm your holiday spirit. Most events also feature fireworks, hot beverages and other family fun events that appeal to everyone. From San Diego, Cali. to Biloxi, Miss. and Gulf Shores, Ala. to Miami, Fla. the parades range from little to large, old and new. Check the list below to find a parade near you. Did we miss one? Be sure to let us know by EMAIL. Dec. 8, 2018, 5:00 – 8:00 p.m. Fishing boats, sailboats, kayaks and all kinds of vessels spread holiday cheer as they trek from Lulu’s Homeport Marina to the Flora-Bama in the Intracoastal Waterway. The journey spreads through Gulf Shores and Orange Beach so there are plenty of places to watch the fun! To enter your boat, click HERE or call (251) 968-6091. Dec. 8, 2018, 5:00 p.m.
Big Daddy's will be donating a portion of their sales to the Chelsea Garvin Memorial Fund. Contant Fish River/Marlow Fire and Rescue at (251) 988-8127 to participate in the boat parade. Dec. 15, 2018, 5:00 p.m.
After watching the beautiful boats glide along Fowl River in Theordore, you can continue the festivities at The Pelican Reef (https://thepelicanreef.com/) restaurant’s after party! They will have food specials, a live band, and no cover charge – starts at 6:30 p.m. Stay on nearby Dauphin Island for a great holiday getaway. To participate with your boat, send an email to info@thepelicanreef.com. Dec. 19-23, 2018, 6:30 p.m. If you are going to be spending the holiday season in sunny California, join over a million viewers and watch beautifully decorated yachts, boats, kayaks and canoes sail along the harbor just south of LA. The parade has been hailed as "one of the top ten holiday happenings in the nation" by the New York Times and is truly a magical holiday tradition for all ages. Click HERE to enter your boat, or call (949) 729-4400. Dec. 8, 2018, 6:00 – 9:00 p.m. This free, distinctly California celebration features boats decorated for the annual holiday season that will sail around Mission Bay. A highly anticipated event in the San Diego community, more than 100 vessels take to the water for the parade. Contact the Mission Bay Yacht Club to participate in the parade. Dec. 9 & 16, 2018. 5:00 p.m. Enjoy a “Tropical Island Christmas” in San Diego as 80 decked out boats parade through the bay. You will have 2 chances to catch this show with over 100,000 attendees! Click HERE to enter your boat. Dec. 1, 2018, 6:00 – 9:00 p.m.
Bring the whole family to this “hometown Christmas tradition” and vote for your favorite boat! The parade will begin at Jigg’s Landing, just south of Tampa in Bradenton. Contact Florida Boat Tours to participate. Dec. 1, 2018, 6:00 – 8:00 p.m. The parade will float up the Intracoastal Waterway from North Palm Beach to the Jupiter Inlet Lighthouse. Click HERE to be part of the beautifully festive vessels. The parade will be led by a travelling fireworks display illuminating the way! Make this just one of your stops during a relaxing vacation in Palm Beach. Dec. 9, 2018, 6:00 p.m. The Destin Harbor will be dancing with holiday lights and cheer during the 32nd Annual Destin Boat Parade. Enjoy a full day of festivities - visit with Santa Claus beginning at 1:00 p.m. followed by a special performance of the Nutcracker on the Main Stage. The boat parade will light up the harbor beginning at 6:00 p.m.
Dec. 15, 2018, 7:00 p.m.
Over 100 boats are expected to join in holiday cheer this year. This event also doubles as a toy drive benefiting the children of Miami. There will also be food vendors, bounce house, DJ and firework show at 9:00 p.m.
Dec. 8, 2018, 6:15 p.m. Enjoy these lighted boats all the while benefiting the Ricky King Foundation. The parade may be viewed from: Pincher's Crab Shack, Riverwalk Restaurant, Naples City Dock, Naples Landing, Kelly's Fish House, The Boat House Restaurant and Bayview Park. 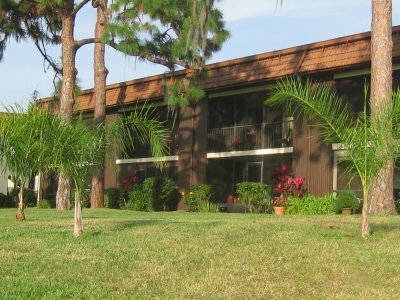 Check out these amazing homes in Naples. Dec. 1, 2018, 6:30 p.m.
Sabine Marina to the Pensacola Beach Boardwalk. The sparkling spectacle of decorated vessels parading against a dark December sky delights those watching from the shore or a waterfront Beach business. Enjoy a kid’s pre-show party at 4:30 p.m., then a fireworks show after the parade. 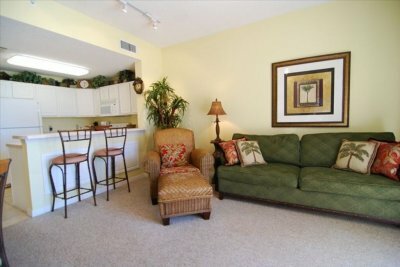 Bring your boat and stay in Pensacola! Dec. 22, 2018, 6:00 p.m. The route traditionally goes along the Tampa Riverwalk and down the Hillsborough River through Downtown Tampa. 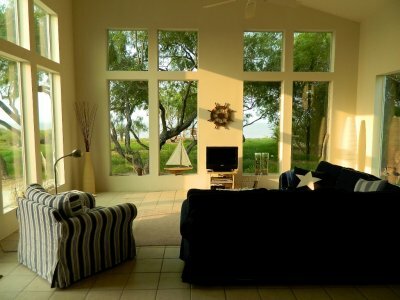 The perfect setting to enjoy the holidays! Nov. 24, 2018, 7:15 p.m.
A Christmas parade, Savannah style! Over 40 lighted vessels parade both sides of the waterfront, accompanied by live music performances, tree lighting ceremony, and a fireworks extravaganza. Festivities before the parade will begin at 5:00 p.m.
Stay in nearby Tybee Island for a full holiday getaway. Join in on a community-wide celebration that offers something for all ages and all interests. Boats parade in full holiday décor, with a fireworks show after the parade. Dec. 8, 2018, 6:00 p.m.
Every year over 100 festively decorated boats of all sizes parade around Clear Lake and through the Clear Lake Channel in front of the Kemah Boardwalk. The event is free to all, perfect for holiday tourist entertainment. Dec. 1, 2018, 6:00 p.m. It's a floating festival of lights on Lake Grapevine with a parade of boats decorated in their holiday finest! This lighted boat parade starts at Twin Coves Marina and picks up entries at each marina, Scott’s Landing and Silver Lake, as it circles the lake. Call 817-481-4549 to participate! Plan your trip to Texas. Dec. 1, 2018, 7:00 p.m. Enjoy a full day at Bayfront Marina in Corpus Christi at the Harbor Lights Festival. Beginning at 1:00 p.m., there will be children’s events, performances, tree lighting and boat parade. Captains and crews sing carols to entertain and WOW the spectators with their creative holiday displays.